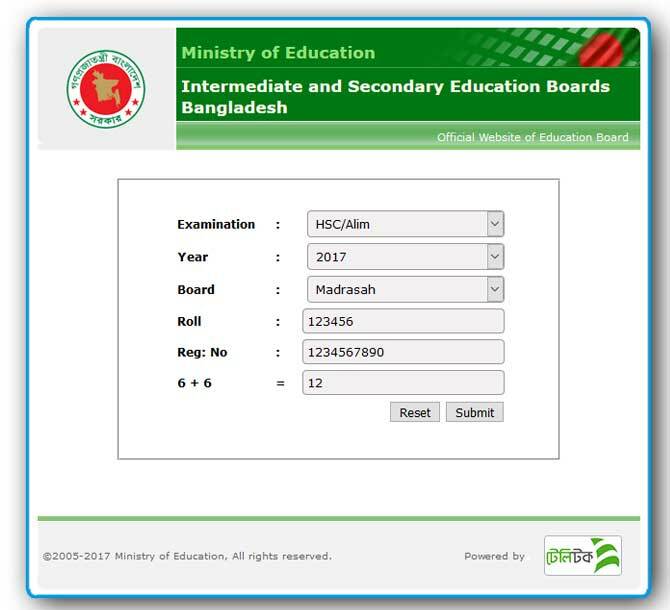 Bangladesh Madrasah Education Board HSC Alim Result 2018 is here. Alim is the same program of HSC of Madrasah Education Board. Alim exam result is knocking on the door. Today I am going to share how to easily collect your HSC Alim Result 2018 via all easiest method quickly and fast. You may also check HSC Exam Result 2018 for you mate. Alim and higher secondary certificate HSC exam result will publish at the same time from education board. In this year HSC Alim exam was started from 2nd April to 15th May 2018. Normally Bangladesh education board publish HSC Alim exam result withing 60 days of end the exam. I hope the following result will be published on 19th July 2018. Just follow this article for collect your Alim Result 2018 by the Online and using Mobile SMS. Some of examine got worried about their result. It's not very hard for getting your Alim Result 2018 by Madrasah Education Board. HSC Alim exam is the most important exam. Because it is their last college exam. After passing this exam they can admit into university. HSC and Alim Exam is the same exam. Just Alim students attend from Madrasah Board. In this article, I am sharing all details information for collect your Alim Exam Result 2018. You know guys, HSC Exam and Alim Exam was started from same date and time. So, HSC Alim Exam Result will publish at the same time also. Previous some days ago, The manager of the education board, wants a date from the prime minister of Bangladesh. Alim Result 2018 to be published on 19th July 2018. Once the result got published, then you can check it following below methods. Check any HSC Result 2018 and Alim result from the same website. You know, education board's have only once official website. http://www.educationboardresults.gov.bd Firstly go to the website and type your all right information from your admit card. Or you can follow below screenshot. The online internet is the once of the best and dependable way for collect any Alim exam result 2018 quickly and fast. Although first time the result got publish on mobile SMS. I am also sharing SMS method for check your HSC Alim Result easily. If you're a smartphone user, then you can easily receive your Alim exam result 2018 via mobile SMS. Some of examine are don't know the full SMS format of check result by SMS. In below I am sharing full SMS format for you. Alim is most important program of Bangladesh Madrasah education board. It is also very important for check your result when it got published. If want to check your result by SMS, then every SMS will charge 2.75BDT with VAT+SD. Here is Alim Result 2018 by SMS. In this year more than 2.13 Lakh candidates are attend on Alim examination under the Madrasah education board. This is the best number of ever. If you are looking for you HSC Alim Result 2018 of Bangladesh education board, then this page may be helpful for you. In here I am try my label best for describe how to check Alim Result easily via online and mobile SMS. Hope you also got helped. Collect your HSC Result 2018 Publish date from here. Final Words, This article was about how to collect Madrasah education board Alim result. You need wait until the result got published by officially by ministry of education board. On the result day, you can collect your Alim Result 2018 using above method. If you have any question, then just leave a simple comment. Thank you.